The Weir Law Firm, LLC, conveniently located in Bridgewater, New Jersey, advises clients throughout New Jersey. It represents individual, entity and corporate clients in business/commercial, family law, health care, general litigation and appeal matters. Bonnie M. Weir has extensive litigation experience before the State, Appellate, and Federal Courts. In addition, she also represents clients in other settings, including, administrative agencies, hospitals committees, Medicare and Medicaid appeals. Not every client is financially, emotionally or even physically willing or able to take a case through the trial and/or appeal process. The Firm recognizes that fact and carefully examines our client's individual goals and needs to determine the best course of action for you, the client. Some clients may want their legal matter litigated while others want or need a quick negotiated settlement. 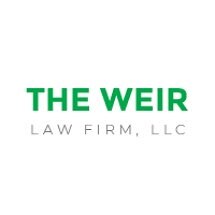 The Weir Law Firm, LLC will assist you through those difficult decisions and make the process as painless as possible. An experienced attorney, Ms. Weir will personally handle every aspect of your legal matter. She will take the time to listen to what you have to say, explain the process and what will be expected of you every step of the way. Contact Bonnie M. Weir to schedule an initial consultation. Clients can call anytime, including evenings and weekends. If we miss your call, the Firm will endeavor to respond within 24 hours. Emails are always welcome and will likewise usually receive a response in less than 24 hours.